If you are bored with your short hair and want to get your hair longer for a short time, try the tips below, and your hair will grow faster and thicker than the original. Egg whites have a lot of vitamins that are particularly good for the growth of the hair, so you can use it as a mask for your hair every week. Apply it to your hair and massage it gently with your scalp and then rinse it off with lukewarm water. For a short time, you will be amazed by the length and smoothness of your hair. Water is inexpensive for all beauty treatments, including hair. With about 8 glasses of water a day, not only the skin but also your hair will grow very shiny. Regularly brushing the hair once or twice every morning and evening will help stimulate the hair follicles and make the hair grow faster. 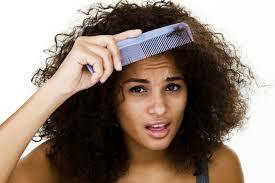 Regular hair drying will cause the hair to lose moisture. Especially for split ends, hair will not grow if dried every day. Try to not dry your hair and let them dry naturally. The food you eat every day also contributes extremely important to make a difference to your hair growth. Add fish, eggs, high protein foods and vitamin B to the menu to help your hair longer and thicker in a short time. A scalp massage with hot essential oils will be a great way to stimulate hair growth. Come to the hair salon or the big cosmetic dealers to ask about massage oils for hair and scalp, it can be done regularly after each shampoo. Coconut oil not only helps to moisturize the scalp to stimulate hair grow faster and longer, but also has antioxidant effect to make the hair always shine, grow thicker and reduce the phenomenon of hair loss in a short time. Before or after shampooing: Apply a dab of coconut oil to the scalp, massage gently for about 5 minutes for the hair to relax and nourish the hair for about 30 minutes for coconut oil to penetrate the scalp. Then wash your hair again.